Adviser to the Prime Minister on Public Information Infrastructure & Innovations, Mr. Sam Pitroda is an internationally respected development thinker, policy maker, telecom inventor and entrepreneur who has spent over four decades in Information and Communications Technology and related human and national developments initiatives.Credited with having laid the foundation of India’s technology and telecommunications revolution in the 1980s, Mr. Pitroda has be en a leading campaigner to help bridge the global digital divide.During his tenure as Adviser to Prime Minister Rajiv Gandhi in the 1980s Mr. Pitroda headed six technology missions related to telecommunications, water, literacy, immunization, dairy and oil seeds. He was also the founder and first chairman of India's Telecom Commission. In these roles, he helped revolutionise India’s development policies and philosophies with a focus on access to technology as the key to social change.Mr. Pitroda was Chairman of India’s National Knowledge Commission (2005-2009), an advisory body to the Prime Minister of India, set up to provide a blueprint for reform of the knowledge related institutions and infrastructure in the country. The Commission has offered a series of recommendations on various aspects of the knowledge paradigm to help India meet the challenges of the 21st century. He is currently Adviser to the Prime Minister of India on Public Information Infrastructure and Innovations and has undertaken the ambitious task of providing a plan for creating digital infrastructure in the country for enhancing governance and improving delivery of public services. He is also the Chairman of the National Innovation Council (NInC) which is working on several initiatives to boost innovation performance in the country. Mr. Pitroda is also heading the Expert Group for Modernisation of Indian Railways constituted by the Ministry of Railways. He is also the Chairman of the Smart Grid Task Force set up under the aegis of the Ministry of Power, Government of India. He has also been appointed one of the founding Commissioners of the United Nations Broadband Commission for Digital Development. He holds close to 100 worldwide patents and has published and lectured widely in the US, Europe, Latin America and Asia. 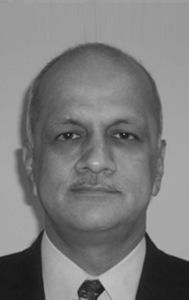 Dr. Bhatkar, one of the most acclaimed scientists of India, is best known as the architect of India’s national initiative in supercomputing where he led the development of Param supercomputers. Bhaktar received the Padmashri Award in 2000 from the Government of India and the Maharashtra Bhushan Award of 1999-2000, the highest recognition of the Government of Maharashtra. He was the recipient of the Jindal Prize in 2012 for science and technology in the service of society. Rentala Chandrashekhar, President at NASSCOM. Chandrashekhar has been the Chairman of Telecom Commission and Secretary in the Department of Telecommunications in the Ministry of Communications & Information Technology, Government of India since September, 2010 till his retirement from Government service in March, 2013. Earlier, he served as the Secretary in the Department of Information Technology from June, 2009 to September, 2010 and also held concurrent charge of this assignment from February, 2011 to March, 2012 in addition to his current charge. As the Telecom Secretary, he was responsible for driving several key policies and strategies covering licensing, spectrum management, National Broadband Plan, Convergence, Manufacturing, Investment, security, R&D and the National Telecom Policy 2012. He was the principal architect behind a triad of policies covering Telecommunications, Electronics and Information Technology that was unveiled in draft form by the Government of India in October, 2011. All the three policies were approved by the Government in 2012. The thrust of these policies is to optimally leverage Information and Communication Technologies to find innovative solutions in education, health care, financial inclusion, e-governance, skill development, employment generation, etc. As the Secretary of the Department of Information Technology, he steered the formulation of national policies for the IT sector and for promoting Electronic System Design and Manufacturing and R&D in the Electronics and IT sector. He was also responsible for overseeing implementation of a number of major national initiatives in the sector including the National e-Governance Plan, which he played a key role in designing and in formulating the Electronic Service Delivery Act. Earlier, he established the first Department of Information Technology in the country in the state of Andhra Pradesh and was Secretary of the Department from June, 1997 to December, 1999. The policies and strategies he formulated catapulted the state to the forefront of the country in the sector and became a role model for several states and countries. Professor Rajeev Gowda is a Rajya Sabha MP from Karnataka and a Spokesperson for the Congress party. He has a BA from St. Joseph’s College, Bangalore, an MA in Economics from Fordham University and a PhD in Public Policy and Management from the Wharton School, University of Pennsylvania. He has been a post-doctoral fellow at the University of California, Berkeley and taught at the University of Oklahoma. Until recently, he was Professor of Economics and Social Sciences at the Indian Institute of Management Bangalore and a Director on the Central Board of the Reserve Bank of India. He has authored and edited books, scholarly articles and reports on policy issues. He has mentored start up companies and works on urban renewal and youth empowerment, among other areas of interest. He has been a Carnegie Council Global Ethics Fellow. He was founder secretary of the Karnataka Quiz Association and national runner up on BBC TV's Mastermind India in 2002. Thomas Kailath is an electrical engineer, information theorist, control engineer, entrepreneur and the Hitachi America Professor of Engineering, Emeritus, at Stanford University. Professor Kailath has authored several books, including the well-known book Linear Systems, which ranks as one of the most referenced books in the field of linear systems. Kailath is listed as an ISI highly cited researcher. Kailath was awarded the 2007 IEEE Medal of Honor for "exceptional development of powerful algorithms in the fields of communications, computing, control and signal processing",the 2006 IEEE Jack S. Kilby Signal Processing Medal,and the 1996 IEEE Donald G. Fink Prize Paper Award (together with Ali H. Sayed).He has been awarded the Padma Bhushan award in 2009 by the Government of India for his contribution to Science and Engineering.He has been awarded with the 2009 BBVA Foundation Frontiers of Knowledge Award in Information and Communication Technology for break the miniaturization barrier of chips. 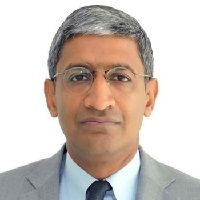 Mr. Shiv Vikram Khemka is Vice Chairman of SUN Group, a private investment group active in several transforming markets around the world, with particular focus on Russia and India. The Group is a leading principal and private equity investor across various industries including Oil and Gas, Mining, Real Estate, Infrastructure, Technology and Consumer Goods. Shiv was elected a ‘Global Leader for Tomorrow’ (GLT) at the World Economic Forum in Davos in 1997. Shiv is a Trustee of his family’s charitable trusts, the Nand & Jeet Khemka Foundation and the Nabha Foundation. The Foundations endeavour to build innovative cross-sectoral collaborations and development infrastructure within India and internationally through strategic philanthrophy focusing on poverty reduction, empowerment of marginalized society and protecting the natural environment. Shiv was educated at Eton College, received a B.A. from Brown University, an M.B.A. with distinction from The Wharton School and a Master’s in International Studies from The Lauder Institute, University of Pennsylvania. 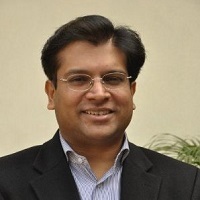 Dilip is a new generation tech entrepreneur who has been spearheading mobility innovations.Dilip started his career in the early 90s, working closely with McKinsey to restructure Group businesses. With an eye on the future, he led the entry of his Group into the sunrise telecom sector in 1995 by creating Modi Telstra, India’s first mobile service provider. He rose to become its Chairman in July 1999 before its successful divestment from the Group in 2000. Dilip became the Chairman and Managing Director of Spice Communications, a leading telecom service provider in Punjab & Karnataka. He was instrumental in building ‘Spice Telecom’ as a dynamic mobile telephony brand, leading the company through a successful and oversubscribed IPO in July 2007. He is the youngest ever President of the Associated Chambers of Commerce (ASSOCHAM), the oldest chamber of India. He is very passionately driving the ASSOCHAM agenda of “Making Inclusive Transformation Happen” in the country. He was also the youngest Chairman of the Cellular Operators Association of India (COAI), for the years 2004 -2005. Dilip holds a First Class Bachelor of Science Degree in Management Technology from the Brunel University, London, UK. He has also done his Masters in Business Administration from the Management School at the Imperial College, London, with a specialization in Finance.